A friend turns up in the afternoon; too late for lunch, too early for dinner, and wanting me take a look at her skin, which has been suffering extra sensitivities from Winter’s over-drying elements. I face map, ask standard dermatological questions, and then prepare us to shamanically journey. 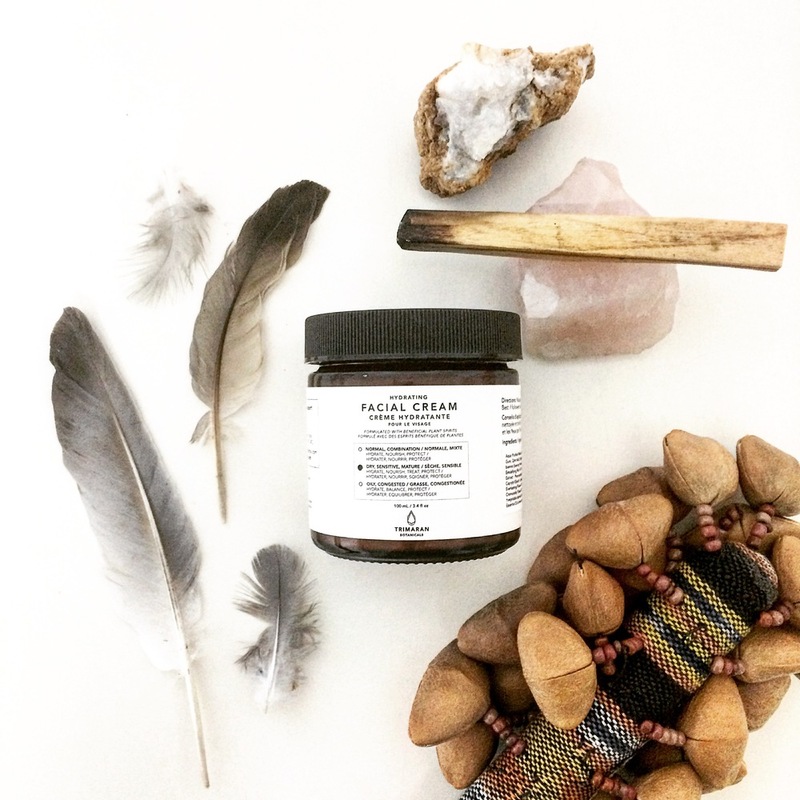 To book a personalized skincare consultation and shamanic reading session, please email Mimi at journey@trimaranbotanicals.com. We also invite you to join our tribe on Instagram. Trimaran Botanicals' first blog post... Where should I begin? Naturally, with the plants, or shall I say, plant spirits, to whom this Vancouver-based, shamanic skincare line owes so much? What is shamanism, anyway? What are plant spirits, power animals, and crystal devs? What is vibrational therapy and how do mantras play a role? Why am I listing all these spiritual topics when the ingredients used are already organic, vegan, toxin-free, and filler-free, backed by science and formulated by hand? Aren't all those qualities enough? Why integrate spirituality with the physical, namely beauty, and why is ceremonial skincare relevant today? And for those who may just have to ask, why do I consider myself a shamanic practitioner and not a shaman, and of course, doesn't that practise involve the use of psychedelics? I will be answering all of these, and more, in small bites to savour, to digest, and to integrate in what we know as life. So honoured to have you #journeywithus.